BBC newsreader Kate Silverton has reportedly signed up for this year's series of Strictly Come Dancing. Producers have been trying to sign her up for the dance competition for 12 years and she has finally agreed. A show insider told The Sun: “Kate has been at the top of the producers wish list for more than a decade. “But she has always put her career and family above everything. Now shes polishing off her dancing shoes and cant wait to get started. She was asked previously but was reporting on the front line in Iraq and Afghanistan so couldnt do it. Kate, 48, regularly fronts the BBC News at One, Six and Ten as well as the weekend shows, and shes previously confessed she was disappointed at being unable to do Strictly in 2006 when she was asked, as she was reporting from the frontline in Basra, Afghanistan. 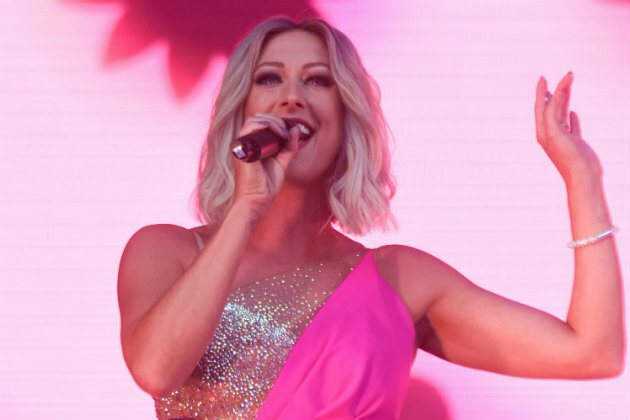 As well as Kate, Pussycat Dolls singer Ashley Roberts, radio host Vick Hope and Steps Faye Tozer have also apparently signed up for Strictly. But Fayes signing could prove controversial as she already has a fair bit of experience under her belt as a dancer. The 42-year-old was famed for performing lively choreography with Steps back in the 1990s and 2000s and has since gone on to perform in various stage shows including Singin In The Rain and Tell Me On A Sunday. This could irk some viewers as many get annoyed at Strictly bosses for signing stars with a dance background. The post Strictly Come Dancing line up 2018: BBC newsreader Kate Silverton signs up for BBC show appeared first on Woman Magazine.